Exclusive Aromatherapy Roll-On Blends created by Artisan Aromatics. Each Aromatherapy Roll-On is Ready-to-Use. 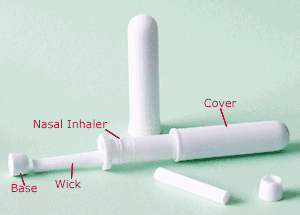 Just remove the cap, invert and roll-on. Simple to use, no blending or dilution needed. Enjoy! Aromatherapy Roll-On. 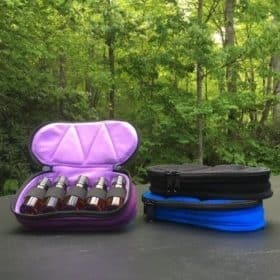 Each of these Aromatherapy Roll-On bottles contain one of our exclusive Aromatherapy Blends which were formulated by our clinical aromatherapy consultant, Dr. Joie Power. 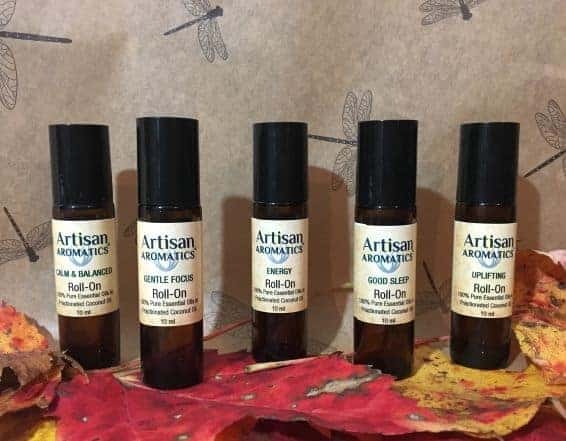 The Essential Oil Blend in each of these Aromatherapy Roll-On bottles has been diluted in Jojoba to the correct proportions for direct use on the skin. These Aromatherapy Roll-On bottles are amber glass with a steel roller ball and a black cap. 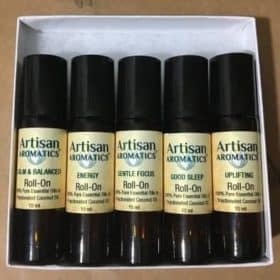 The great thing about Aromatherapy Roll-Ons is that Roll-Ons allow us to dilute our Artisan Aromatics Essential Oils and Artisan Aromatics Aromatherapy Blends so that they can be used correctly on the skin. Ready-to-use Roll-Ons offer you ease of use and because they are “ready-to-use”. Each Aromatherapy Roll-On makes a great gifts. 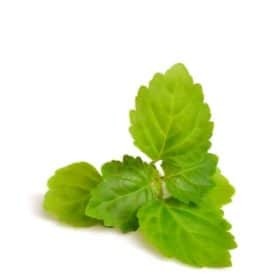 You can give an Aromatherapy Roll-On to friends and family who may not know as much about aromatherapy and the use of essential oils as you do. Caution: But, of course, as with anything new that is applied to the skin, test in a small spot to make sure that it is right for you before applying to larger area.